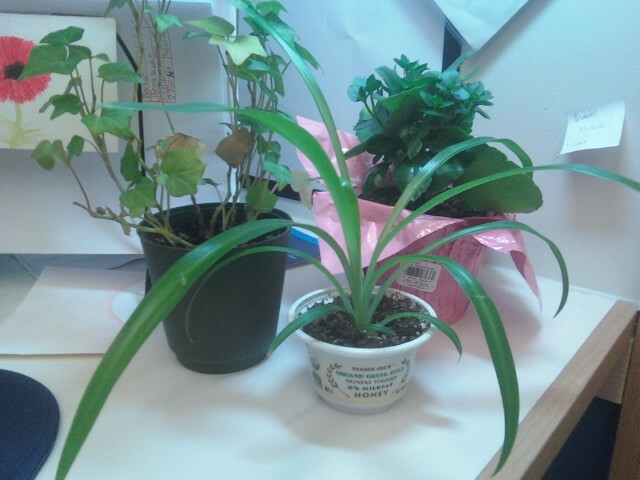 These are the plants that I am keeping alive at work. So far so good. Notice in the back some artwork (on the postcard on the desk), I have an opportunity to hang my pics at an event at work next month. I am so excited!